There are many disabilities that a Receptionist will come across when working at the front desk. Many disabilities are not visible – but are still there. Ensure your staff are aware of the various disabilities and how to deal with them in the most appropriate way. 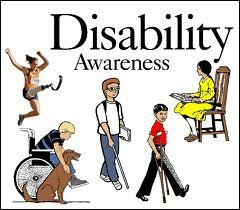 Many organisations would only be too happy to come along and talk at one of your staff meetings to explain about Disability Awareness and how to help those affected. With thanks for sharing your excellent web-site.